I'm not big fun of teabowls with pattern, but this one with a lot of pattern is my favorite. It's actually my grand-mother's and she gave it to me long time ago. 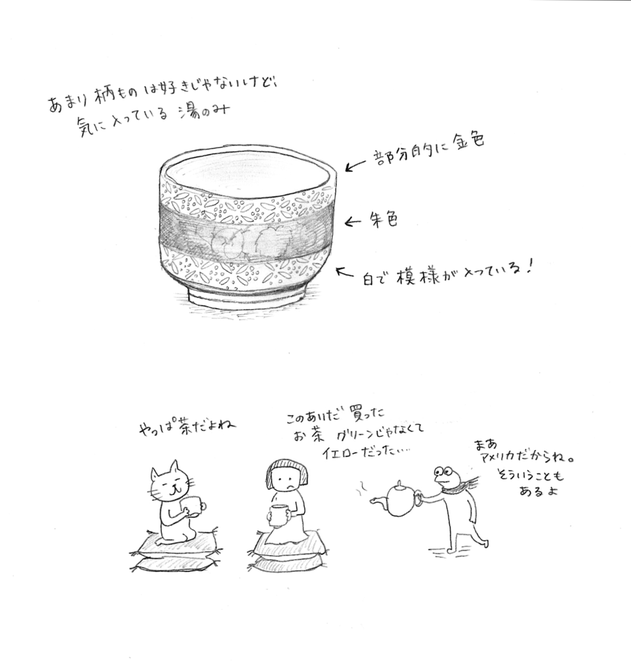 The teabowl has gold color and vermilion. I can see teabowl craftman decolates with brushes, I like the details. Nyankichi sensei : Yes, green tea is the best. Frog : hmm...here is not Japan, anything happens..haha!